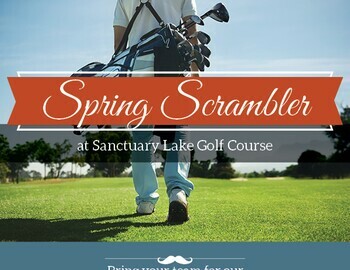 Gather your foursome and register for the Spring Scrambler at Sanctuary Lake Golf Course! $55 per player includes range balls, greens fees, Taco Bar Banquet and prizes!!! April 23rd, 9:00am registration, 9:30am start.